Elly child care, a vertical of Learning Edge India Pvt. Ltd. is a pan India company that strives to be the best child care provider for the corporate world. It is an integrated pre-school and child care facility for the corporate. It supports young working parents & encourages working mothers to return to their careers at the earliest, after a short break. The Zonal Coordinator acts as a bridge between the centers and the company. 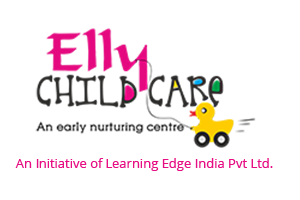 The person is appointed at a particular location or city to supervise all activities and guide the centers of Elly Child Care there. The Coordinator/ Center Head is in charge of the day to day management, enquiry generation for the centre and for ensuring that the curriculum is followed. She is responsible for the welfare and safety of the students and teachers. Ensuring enquiries understand the Elly Child Care methodology and are impressed with the facility. Child care teachers nurture, teach and care for children. Child care workers organize activities and implement curricula that stimulate children’s physical, emotional, intellectual, and social growth. Caring for the welfare and safety of her students. Communicating in English within the school premises. At no point in time should any child be forced to do an activity/writing/coloring etc. Harsh reprimands or punishments are strictly not permitted. All samples should be prepared in school premises, and nothing should be carried home. The Teacher will be responsible for the maintenance of equipment she uses. All equipments, toys & materials including the teaching aids used have to be cleaned with the help of the maids regularly. Regular checks must be carried out to inspect broken parts and all replacement should be informed to the coordinator immediately. Eating or snack time of children should be supervised & handled by the child care teacher. Assist the teacher in all day to day activities. Qualification: Should be a Graduate / PG qualification in Marketing / Business Management and must possess the flair for selling. BDE should be responsible for certain zones assigned to them. They appoint new franchise, achieve sales target & expand franchisee network. Follow-up calls to the prospect clients. Provide and exchange sales information on daily basis. Qualification: Graduate / MBA / PG in Marketing. Business development professionals. Experience in franchisee expansion and development. A BDM will be responsible for achieving sales targets, expansion of franchise, building and maintaining good rapport with existing franchisee. He/she should be willing to travel. Can handle and go well to work with the team. Providing input to the head on effectiveness of various advertising strategies, website contents, brochures, etc. Qualification : Graduate with good spoken English &amp; communication. Follow up with incoming leads.